Wanda Marget, left, and Bea Snodgrass, right, help Exeter-Milligan students get settled on their three legged stools to make butter. Linda Bristol shows Exeter-Milligan students the history room at the Fillmore County Museum. Mary Pribyl, left, and Lois Pribyl, right, tell Exeter-Milligan students about their time as one-room school teachers. 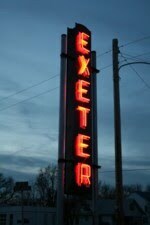 Both women taught in the Exeter and Milligan schools before they were combined. Everyone remembers their fourth grade Nebraska history lessons, right? Wouldn't you remember them better if you had a living history presentation in and about your own county? The Fillmore County Historical Society did their part in trying to help Exeter-Milligan, Fillmore Central, and Shickley fourth graders learn about the history of their county on Tuesday afternoon. 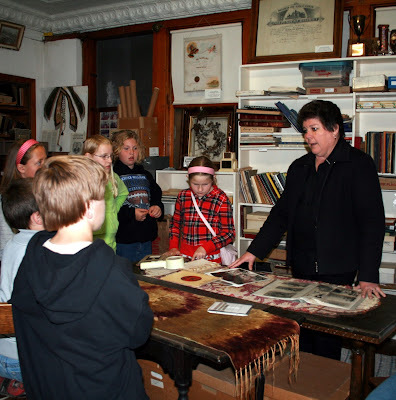 The tour of the Fillmore County Museum included eight stations for the fourth graders to explore and experience during the day long event. 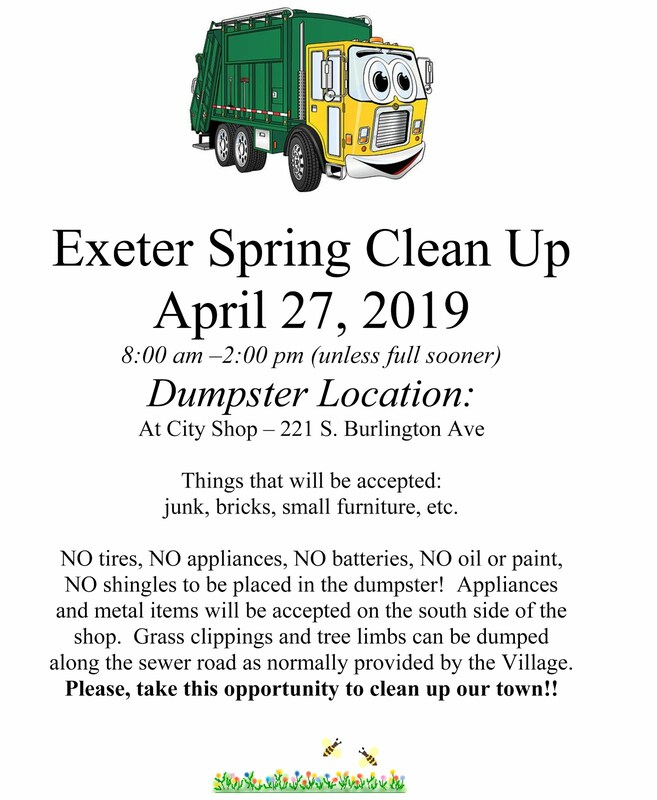 The event was started by then fourth grade teacher Janet Stephenson with museum curator Ruth Black, a former teacher and Exeter resident Shirley Trauger. According to Stephenson, "We wanted to get kids involved in history through the Fillmore County Museum. This was a way to get people to know about our museum. We invited all the fourth grade classes in the county because they study Nebraska history." 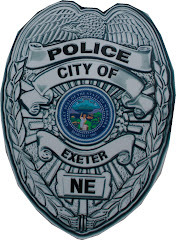 The group started hosting the event in 1994 with several of the schools coming, this year was the first year that Exeter-Milligan has attended the event. Despite cooler than normal temperatures there were over 80 fourth graders in downtown Fairmont learning to make butter, make their own soap, make rope and make a quilt. 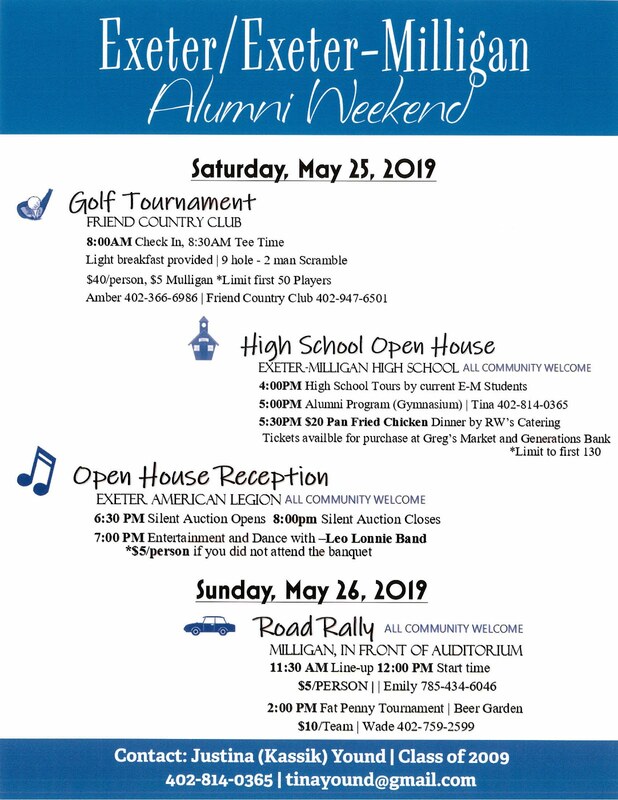 There were eight stations during the event which included a tour of the store buildings from Doane College student and Fillmore Central graduate Caitlin Moore. FCHS board member Linda Bristol led the students through the Ashby Building, highlighting the history room where much of the paper history of the county is stored. Stephenson gave the students a class on making lye soap, helped them make the soap and then showed them how to hand wash clothing. Each student was given a sample of the lye soap to take home. The students enjoyed their lesson in cow milking and butter making, challenged by sitting on the three-legged stools and shaking their baby food jars of cream to make butter. They got to sample some fresh made butter on a cracker and take their own jar of butter home. Also, visiting from Wilber, was Les Vilda, well-known in the pioneer circles as the rope-making man. He taught the students the art of making rope, letting them participate in each aspect of the process of making the rope. The students enjoyed playing jump rope with their new rope. Another outdoor station was the homestead station. Doug Rung, a member of the FCHS, dressed in military garb talked to the fourth graders about houses on the prairie, including, dugouts, sod homes and log homes. He showed how the pioneers would load their guns, trade good with Indians and samples of the foods they ate. Georgia Schropfer helped the students "learn how math and geometry built quilts." They were shown many quilt patterns and created their own quilts with fabric glued onto a paper base. She also taught interested students how to hand-quilt a quilt top. Inside the store buildings students made a stop at the "District 96" schoolhouse. 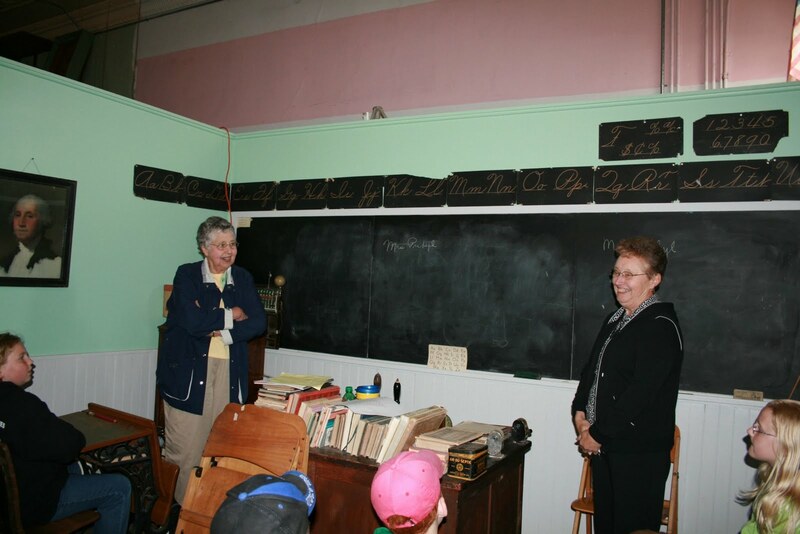 Two former one-room schoolhouse teachers, Mary Pribyl and Lois Pribyl, explained how they had taught in at schools in Fillmore County. They gave the fourth graders a rundown of the typical one-room day schedule while they were seated at old-fashioned desks. They also explained how the county has gone from 95 districts to just three citing the "modernization of farming" as one of the primary factors in the shrinking of the number of homes in sections. To end the day all of the students met at the Fairmont American Legion Hall and had a sing-a-long before heading back to their schools. The Fillmore County Museum is open to the public by appointment by contacting Dave Moore, Wanda Marget or Bea Snodgrass or Wanda Marget.